On the imdb film website, a user review praised ABU as the most moving film he had ever seen in his life. ABU is the first name of filmmaker’s Arshad Khan’s father. A documentary about a son spending his whole life trying to gain his father ’s approval is certainly a moving subject especially proven with books/films like EAST OF EDEN. ABU is moving without sentimentality. 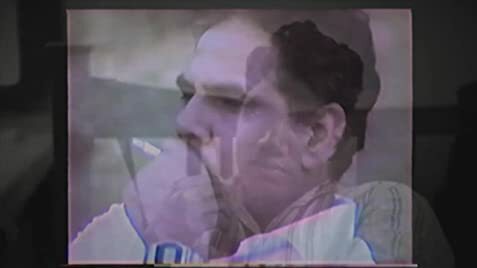 Using family archives and animation, filmmaker Arshad Khan turns the camera (Khan studied cinema in Montreal in 2006) on himself with his father Abu Khan, always in the foreground affecting his every move in life. This is a sort of home movie that serves as a life story as well. This is a very intimately painted picture that would move every immigrant. Every person (or a family member) is an immigrant at some time or other. The Khan family immigrated to Canada to Mississauga in 1991. (Myself I immigrated here in 1986, not long before.) Khan shares a deeply personal story of migration from Pakistan to Canada, self-discovery and familial reconciliation. An additional factor is that Khan is gay. Therefore, as a gay man, Khan examines his troubled relationship with his devout, Muslim father Abu. One of the most fascinating points in the film is Abu’s dream, that Abu only disclosed to his wife. The dream concerns three wise men who visited the father. One told him of a visit to a mosque in Pakistan another of his pilgrimage to Mecca in Saudi Arabia and the third of his death at 3 o’clock. The prophecy of the three events including the timely death in the hospital with the death certificate stating the time of death at 3 pm all came true. (Abu 1937 – 2011). This is disturbingly coincidental. Is Islam really the true religion? This would be a question to ask the filmmaker for sure. ABU begins with an animated sequence involving a dream and a prophecy of a monster wearing a light blue buttoned shirt. (Khan seems extremely fond of prophecies). It was a dream Khan had 6 months before his father’s death. Abu used to tell the family and relatives that Arshad and his sister would bring him either great fame or great shame. From the film, Arshad probably brought him both at various times in his life. But often enough shame or fame could be interchanged, depending how one looks at it. The film contains many moving moments for sure – besides the father/son re-conciliation. (That occurring on the father’s death bed makes it even more endearing.) The part of his father telling his son that he loves him despite being gay is also unexpected given the Islam’s non-acceptance of homosexuality. Yet another, is Khan’s initial encounter with gay love at the age of 14 (with a fellow Pakistani called Elvis) and his parents relationship. 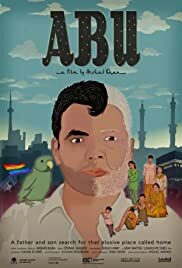 ABU is an extremely watchable and moving film made entertaining from Khan’s personal style of filmmaking. It unveils the fact that every other person in the world has an equally interesting story that needs to be told and filmed.